OpenGov speaks to Dr. Ir. 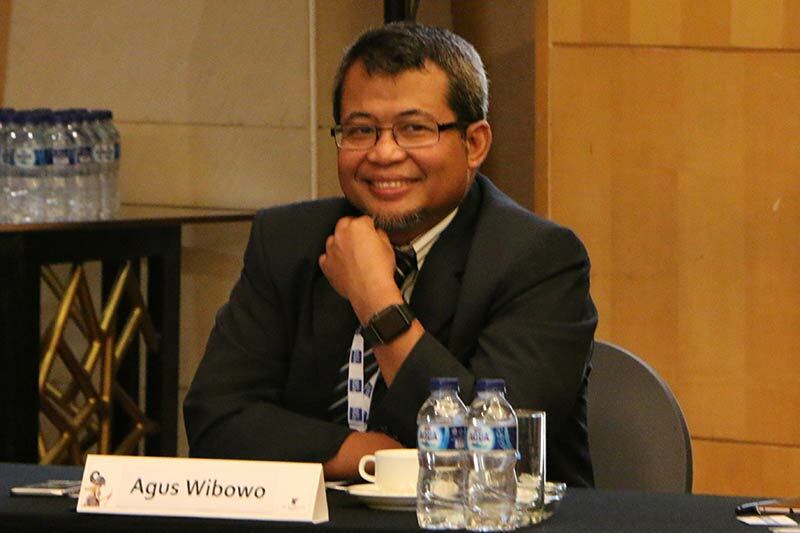 Agus Wibowo, the Head of Information Division under the Centre of data, information and public relations at the Indonesian National Disaster Management Authority or the Badan Nasional Penanggulangan Bencana (BNPB). Indonesia is prone to earthquakes, tsunamis, floods and volcanic activity due to its geographic location on the Pacific Ring of Fire. BNPB was established in 2008 to replace the National Disaster Management Coordinating Board. BNPB’s responsibilities include providing guidance and direction on disaster management effort, including disaster prevention, emergency response, rehabilitation, and reconstruction. BNPB provides basic maps, disaster maps and other geospatial information that can be accessed by the public without any charge. Over 1000 disaster maps are available in the BNPB’s Geospatial Website. BNPB uses unmanned aerial vehicles or drones, as a low-cost option for rapid assessment during catastrophic disasters through aerial photographs. BNPB also uses InaSAFE, a free, open source software jointly developed by BNPB, the Australian government, the World Bank and independent contributors. It pulls together data from multiple sources, scientists, local governments and communities to analyse the likely impacts of future disaster events. It produces realistic natural hazard impact scenarios for better planning, preparedness and response activities. InaSAFE has the ability to work with road data, including a capability to download roads maps directly from the online mapping tool OpenStreetMap (OSM). This assists in planning possible evacuation and emergency response routes. The latest version of InaSAFE, 3.5.0 was released in August 2016. I am responsible for handling all the IT and communication infrastructure in the BNPB office, for setting, procurement, installation and configuration of all the IT and communication infrastructure in BNPB. What are your areas of focus in terms of IT? One is the data centre and Internet connection in our office. We are developing some data centres. We have one data centre and one back-up in our office. The data centre handles all the websites, database and applications in our office. We have to handle the Internet connection between our two offices. The second one is satellite coverage. We are using satellite data for base map and pre and post-disaster mapping, including situation analysis, evacuation route maps, disaster monitoring and hazard zonation. We use radio communication, so that we have communication between Jakarta, the different offices in the provinces, districts and municipalities and so that we can communicate during disaster relief operations. Sometimes during disasters, all the standard communication channels, such as phone lines and the Internet might go down. That’s why the backup system through radio communications, suing HF or VHF (High Frequency or Very High Frequency) is very important. Are you using any big data analytics tools? Not yet, but we are starting to look into big data usage. We are trying to explore data mining so that we can mine data from newspapers and online social media such as Twitter, YouTube and Facebook. We are also mining data from telephone number connections. The system is working with the telephone provider so that in the event of a disaster, we can monitor the mobile communications to track people are moving out of the area, check how many people still remain in the area, things like that. This is still in the research phase. Is there anything you are doing in prediction and disaster warning systems? Now we’re starting work on a multi-hazard warning system. Earlier we only had the tsunami early warning system. In this project, we will combine the systems for tsunami, earthquake, flood and other disasters. We will integrate the different data from other ministries, such as the radar from the BMKG (Indonesian Agency for Meteorology, Climatology and Geophysics), data from the National Institute of Aeronautics and Space (Lembaga Penerbangan dan Antariksa Nasional/ LAPAN), from the Ministry of Public Works, perform required computations and arrive at an early warning system to predict, for instance, which area will be hit by flood, which area might suffer from an earthquake. We are about halfway there. Are you taking any steps for improving public access to information? We are serving information the public through website, mobile applications. We are also using social media channels, such as Facebook, Twitter and Youtube for publishing information.